box this size into a shed, garage or spare bedroom. It can also be difficult to build in just one week. 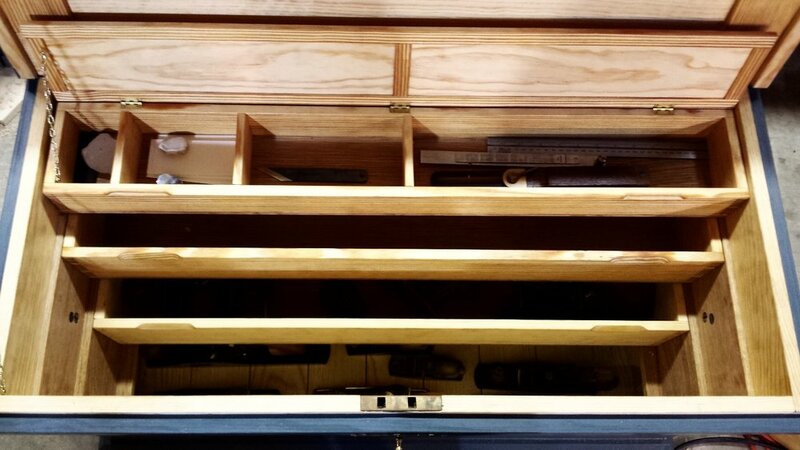 So Christopher Schwarz, the author of “The Anarchist’s Tool Chest,” designed a smaller-scale chest that uses historical techniques to fit a goodly kit of hand tools into a much smaller space, and that can be built in just a week of shop time (even if you’re new to dovetailing). 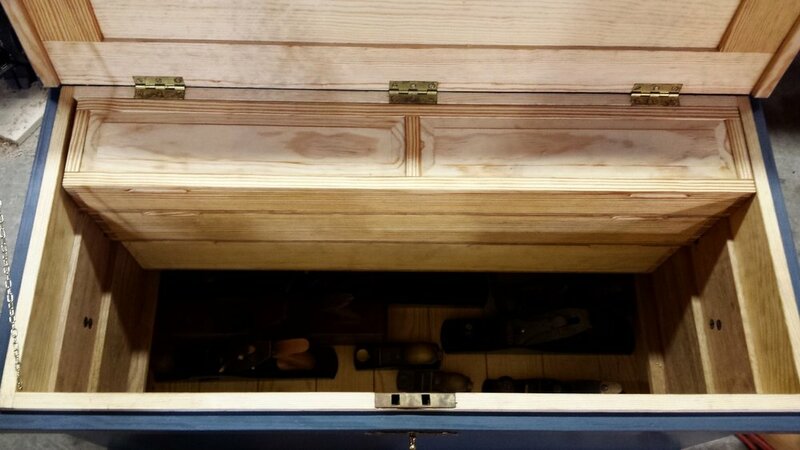 This chest, which measures about 18 x 18 x 30, takes up considerably less space than a full-size chest, yet is just as easy to work out of (and it will fit in the back seat of most cars). Every tool in the box can be reached with only one hand motion. This summer, Megan Fitzpatrick, former editor of Popular Woodworking Magazine, will lead a week-long class in building this chest entirely by hand. You’ll quickly learn to cut dovetails, tongue-and-groove and miter joints using traditional tools and their appliances. At the end of the week, you’ll have a tool chest that is ready to work – with two sliding trays, a tool rack and saw tills. Students should have some experience with hand tools and joinery. We recommend skills equivalent to the Hand Tool Heaven and Hand Tool Heaven II: Joinery courses or the Weekend Hand Tool Woodworking series.